i'm back! i'd like to thank my technical team (aka my adorable husband) for fixing my computer. i really didn't want to have to start over with a new one so i am so grateful that he saved mine from what seemed like certain death. i would tell you what was wrong with it but after he said it was fixed, i kinda stopped listening...haha! today is no surprise, more watercolor! i'm going to keep practicing until i get really good. 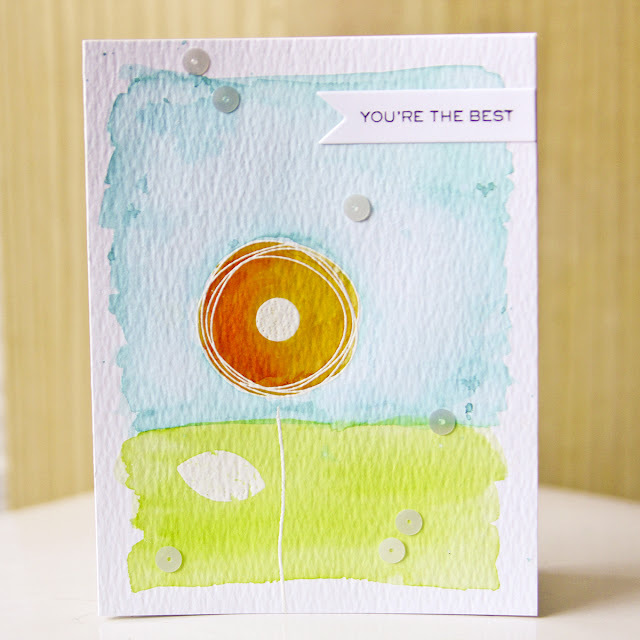 first i stamped the essentials by ellen bokeh dots in versamark to create a flower and covered the image in stampendous detail white embossing powder. before heat embossing, i added a stem with quickie glue and then a leaf. after heat embossing, i started watercoloring my bokeh flower in spiced marmalade distress ink. i let it dry before coloring the background with twisted citron and peacock feathers distress ink. 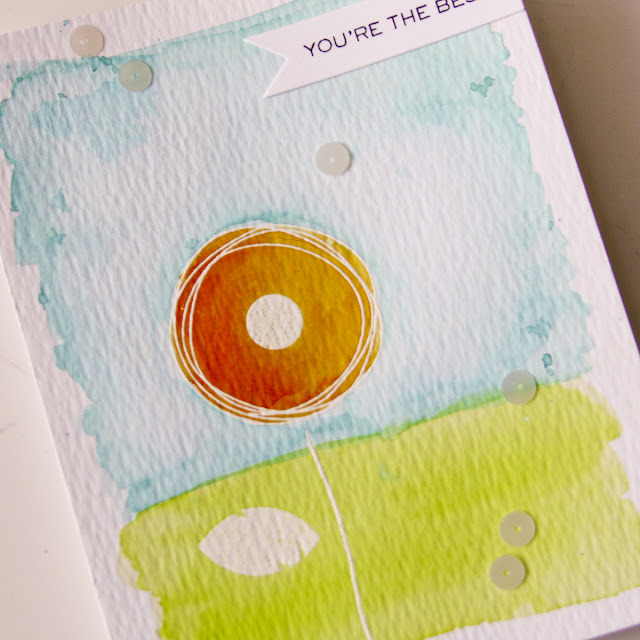 i added a few sequins and stamped the "you're the best" sentiment from wplus9 hand lettered thanks set on the paper smooches wise dies adornments. LOVE the softness... really stunning!! !